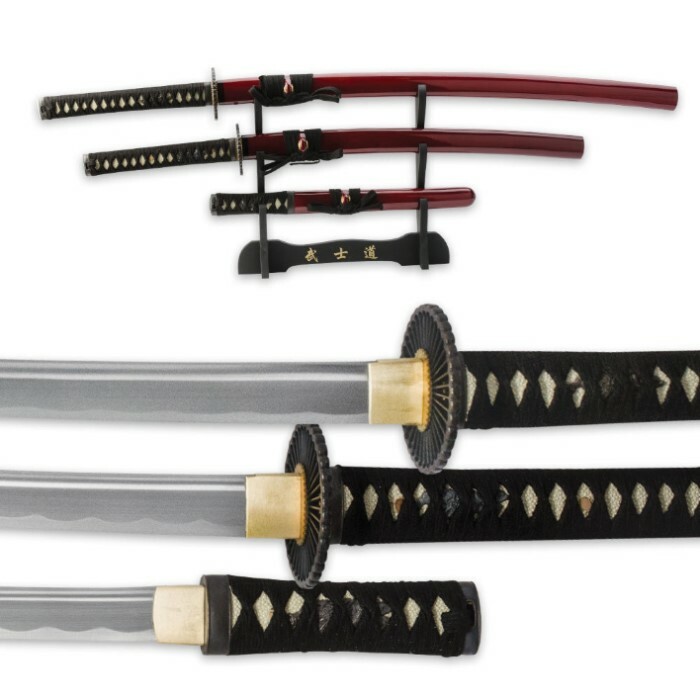 This three-piece Samurai sword set is complete with hand forged 1045 high carbon steel blades that are all razor sharp. The handles offer imitation ray skin with black nylon cord wrappings. 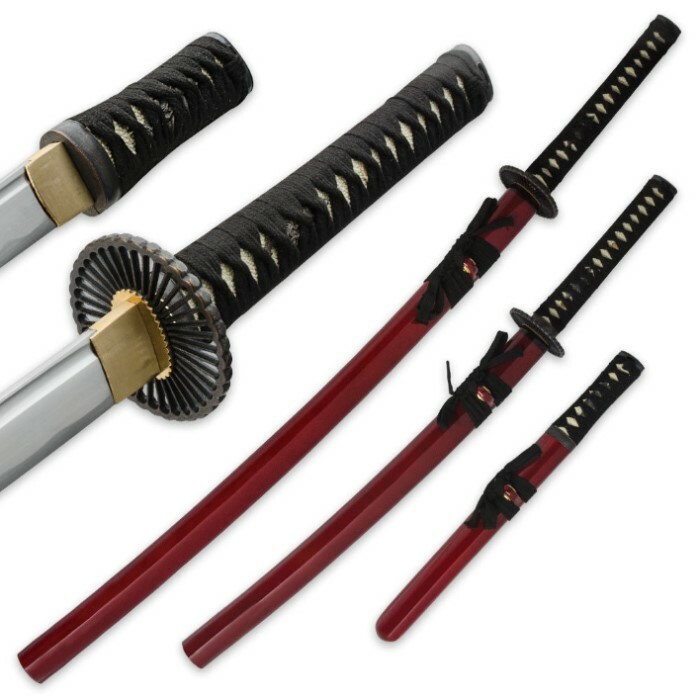 Each sword includes a red scabbard with matching black nylon cord wrapping. 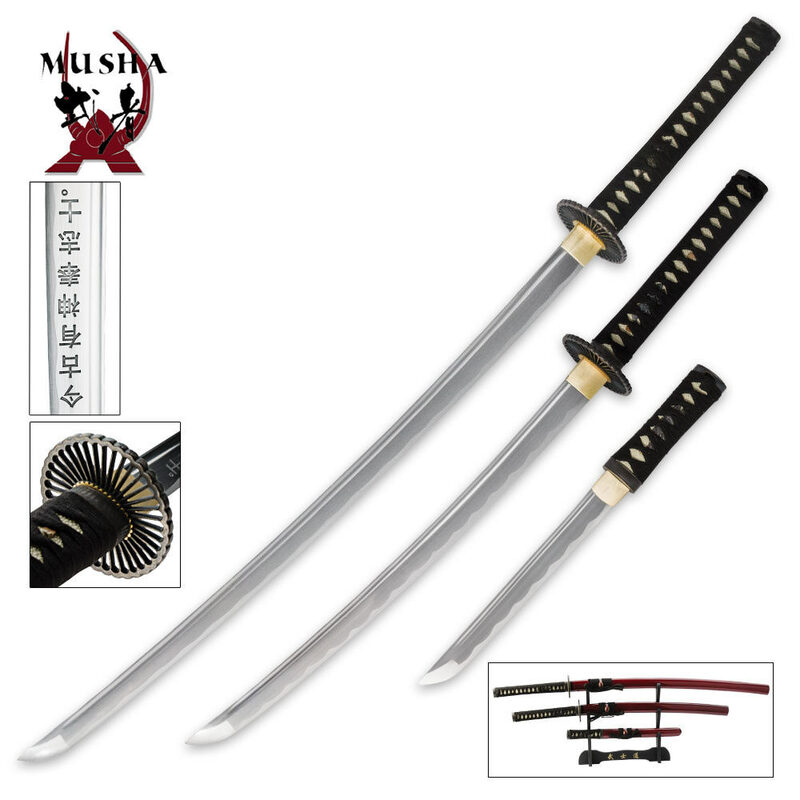 This sword set also includes a display stand so you can proudly display your collection! A great set. Well balanced and very solid. Shipping was quick and fast.